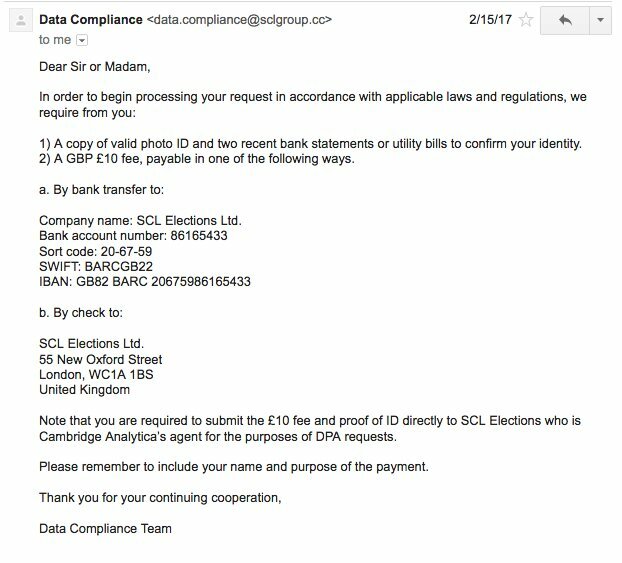 Julian Wheatland signs the letter when an American voter requests their data from Cambridge Analytica (SCL Elections Ltd). 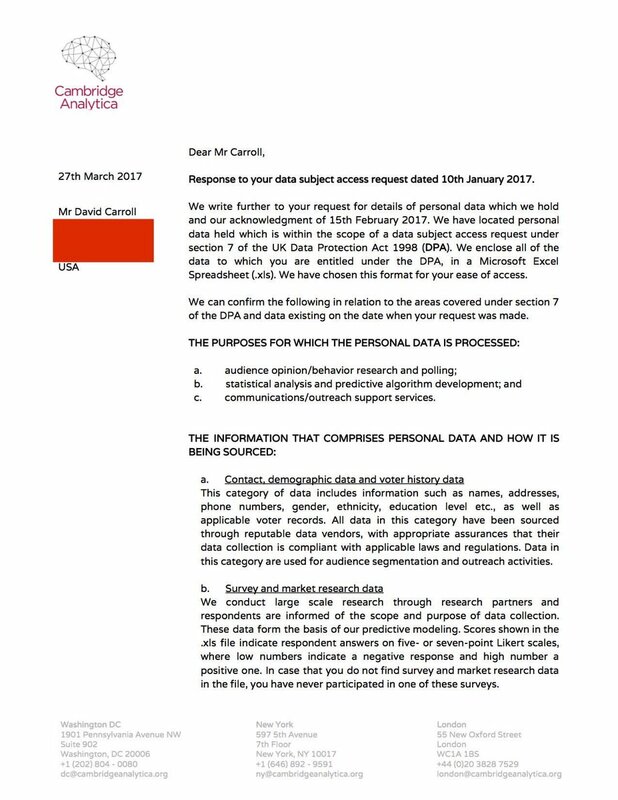 This shows our data was processed in the UK by a military contractor. 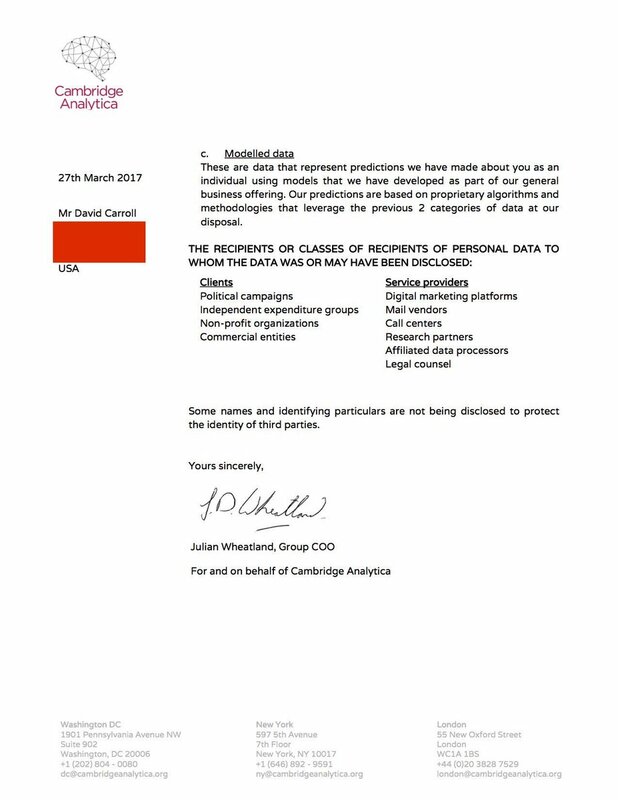 But House Republicans don’t want to know this. 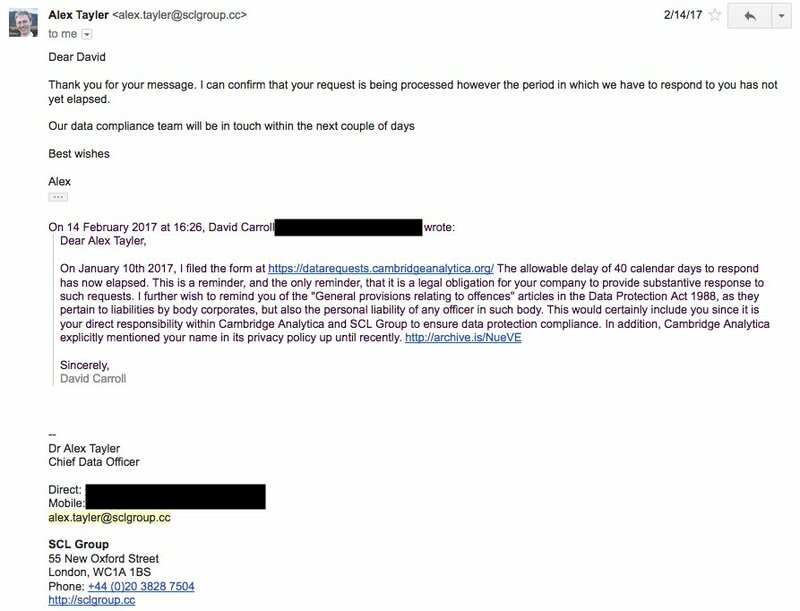 Oh look, here's an email to me from Alex Tayler, Chief Data Officer at SCL Group from that time when I reminded him to comply with my Subject Access Request. 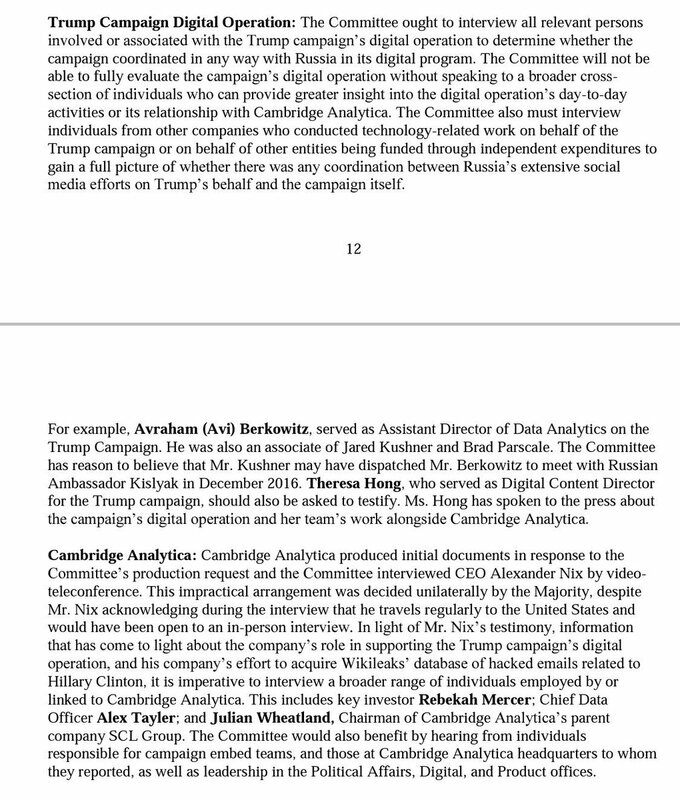 He's mentioned in the House Intelligence Committee minority memo. If only House Republicans bothered to ask him questions. 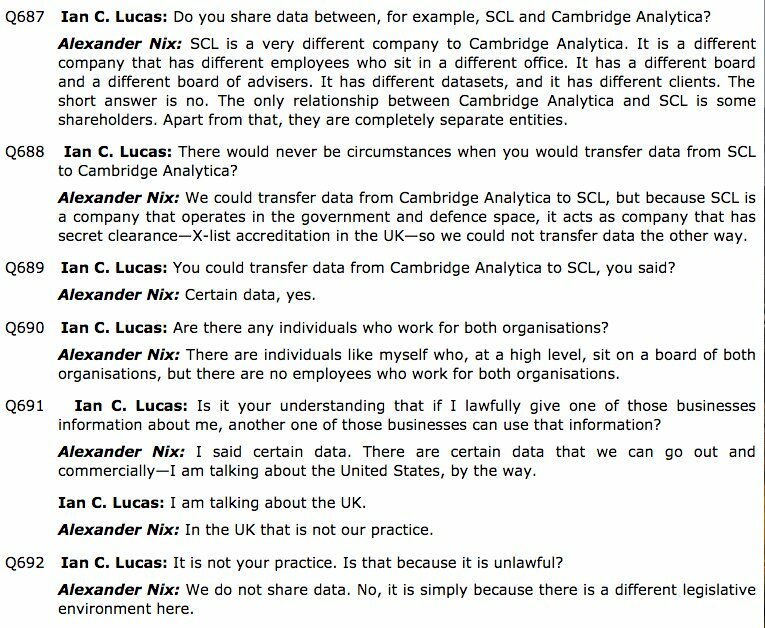 Here’s the part where Nix tells House of Commons committee why SCL doesn’t even do elections work in the UK. 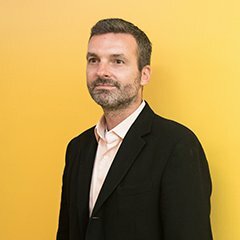 So then why did they pitch Banks? 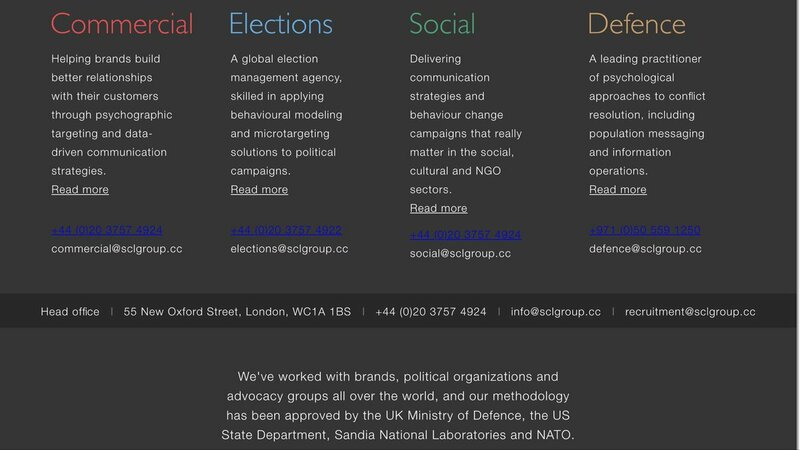 And why did they propose illegal foreign campaign contributions as a tactic?